The idea of Journalism Design (JxD) has roots in interaction design (IxD), a discipline focused on the intersection of people and technology. Interaction designers investigate situations and comes up with ideas, in the form of prototypes, about how to address them. IxD accommodates the values and principles of the people it designs for. This means it can be used to design for the underlying values of journalism. 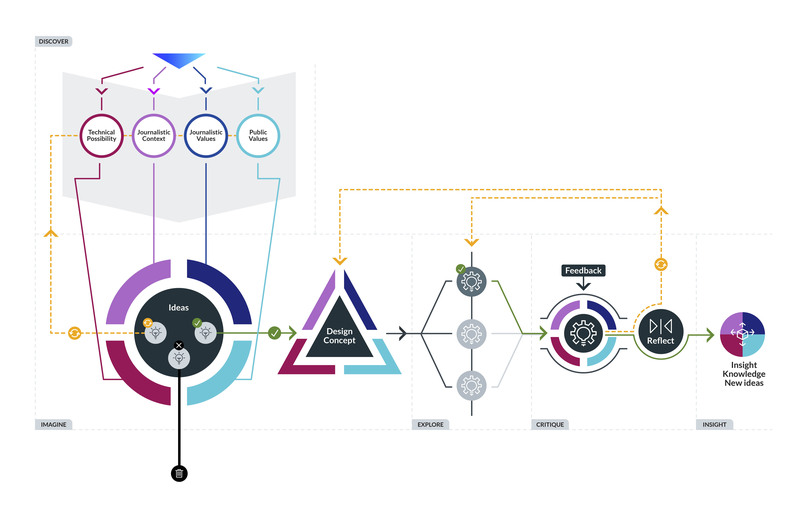 The JxD Process aims to introduce design methods and concepts to journalism students in a way that resonates with their experience and encourages them to imagine how journalistic values might be realised in new shapes and formats. Like other forms of professional practice, teaching JxD is about understanding the process and making informed judgements. The output is often less important than how it came to be and why it is the way it is. For students, it is through their practice that ideas emerge, problems arise and judgements are made. Reflecting on this process facilitates learning. The JxD Process process provides a structure for students as they design. 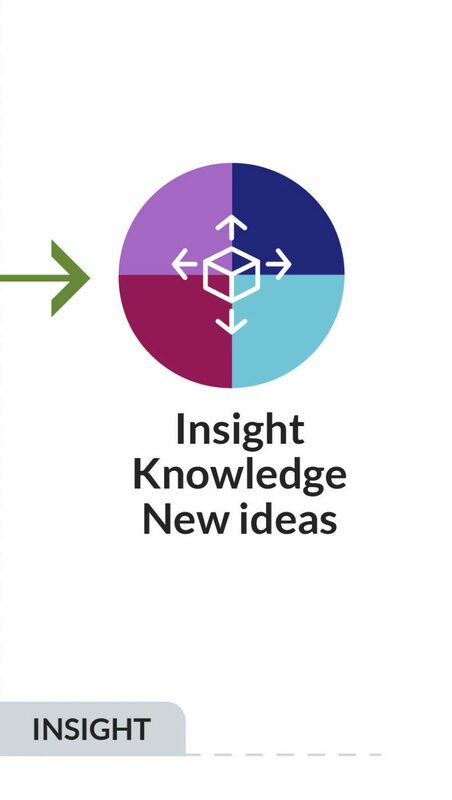 Through phases of discovery, imagining, exploration and critique, students understand the situation they are designing for, the people involved, and the values at play. They need to consider these in relation to what is possible with technology and what is desirable in the situation they are addressing. The iterative and reflective nature of design is articulated throughout the process and the need to discard or revisit ideas is explicit. Ultimately, the focus is on gaining new insight into how journalism might evolve in the future. This phase is about understanding the situation. 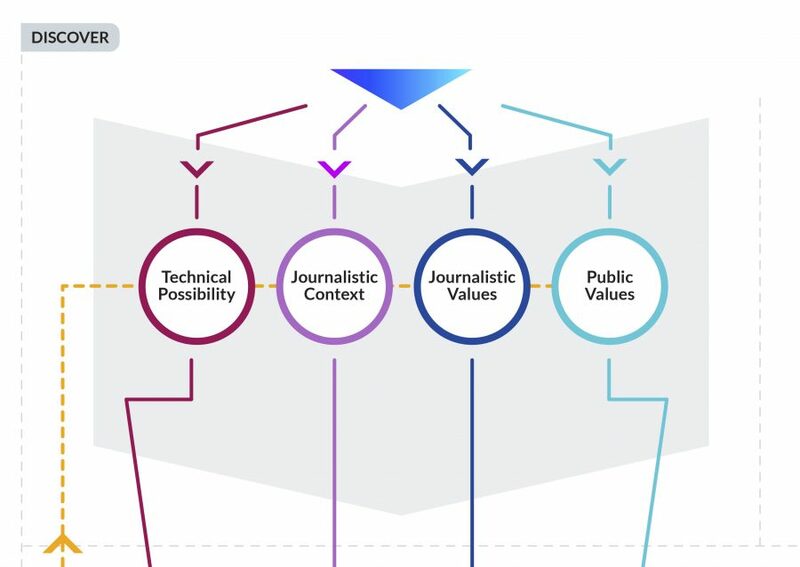 Students should think about an aspect of journalism in terms of four perspectives: technical possibility; journalistic context; journalistic values; and public values. Technical possibility: Students should investigate new and emerging technologies, such as mixed reality, artificial intelligence or tangible interfaces. They should understand what these can deliver and consider the potential benefit, experience or opportunity for engagement that the technologies offer. Journalistic context: Students should find out about the situation as it is currently. This could be any aspect of practice, eg: sourcing, telling or sharing stories. They need to understand the role of technology, who is involved and the challenges faced. Journalistic values: What is important from a journalistic perspective? Consider news values as well as principles such the fourth estate and social responsibility. How are core tenets of practice such as truth, ethics and balance manifest? Public values: What is important to the people involved? Define the audience, public or user and understand what matters to them. Emphasise here that they (the students) are not the user and that the aim is to understand what matters to other people. This should reveal and challenge their assumptions. This phase is about generating ideas. It is about imagining what might be possible, or desirable, in the situation and thinking about how to achieve that. Ideas should be plentiful and disposable. While this phase should lead to a design concept, students should not settle on this too early. They need to think broadly and entertain new and diverse ways to address the issues and themes that emerged from their research. Ideas might originate in any of the four areas investigated in the discovery phase. They could be driven by a technology, or a problem in practice for instance, or they might address a behaviour or a value. Encourage students to challenge or disrupt established views or practices, or to imagine how a technology might be more fully exploited if it the demands of news production were removed. Provocations can help spark ideas, for example, ask students to sketch ideas for a specific technology or for a particular context. See the exercise below. Throughout this process students should consider how their ideas reinforce or conflict with possibilities, context and values, and make decisions about how to resolve or exploit that tension. This will mean some ideas might need to be reconsidered, others will be discarded, and others will show promise. Make sure all ideas are recorded and discussed. Sometimes an initial ‘bad’ idea will show potential once it is worked through. The goal is to choose one to develop further. This is the design concept. The design concept will emerge as strong ideas are fleshed out. Students should take promising ideas and develop them by adding more details about people and use. They should articulate what makes this idea particular to the context and values they are addressing. The task now is to further explore and express the design concept as a prototype. This is not about creating a fully functioning product, it is about developing the design concept to a point where it can be used in some way by people and the students can get some useful feedback. Prototypes are an important part of the design process because they embody the research, judgements and understanding that has been produced as a result of the design process. They also show how a design has progressed. Many journalism students lack the technical skills to develop a functional digital prototype and so the idea of making something can be a little overwhelming. For the purposes of working through the intersection of technical possibilities, journalistic issues and values, low fidelity techniques are sufficient. In fact, low-fidelity, sketchy prototypes are better for new ideas. The more polished and ‘finished’ a prototype looks, the less likely you are to get feedback about the core concept because people think the decisions are locked in. 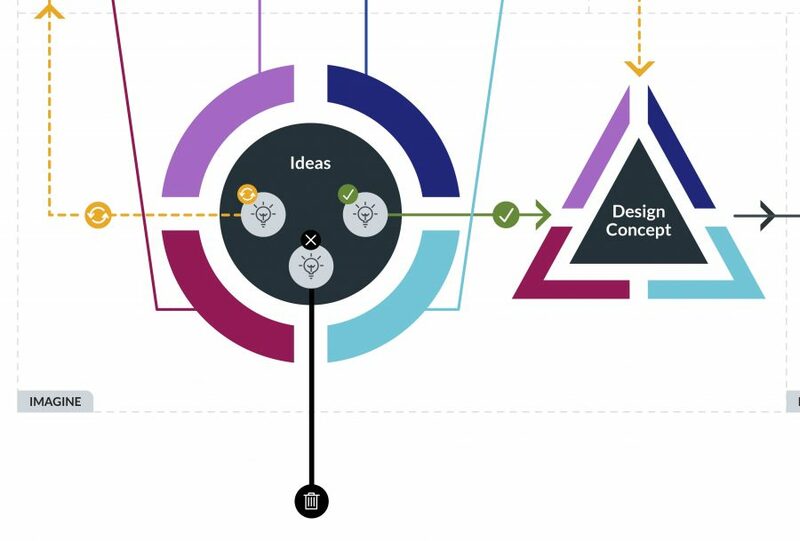 The goal of these prototypes is to propose new ideas for critique, so they need to communicate the fact that they are unfinished and in development. The prototype should represent the design concept in a more concrete way than is possible using words or pictures. The prototype should communicate the goal of the design and how people would interact with it in order to achieve that goal. It should also expose the values that have been considered so far. 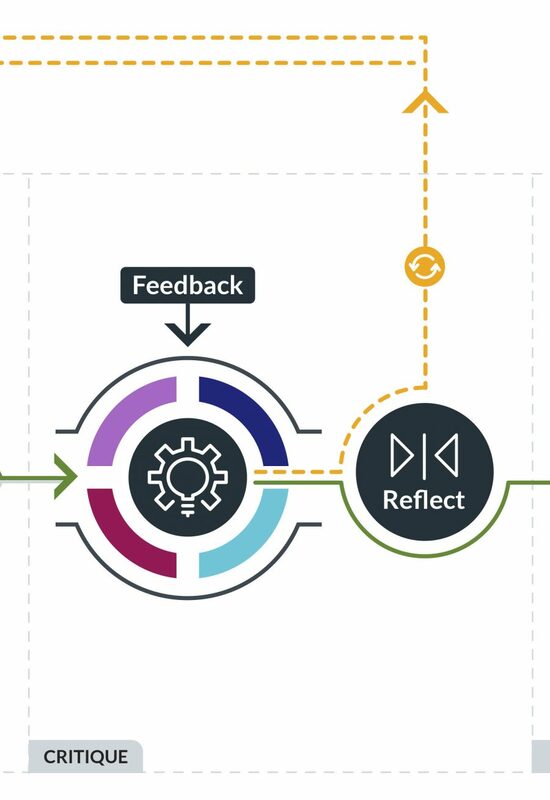 Feedback and reflection form the critique phase. This is about putting the design in the hands of the people it was designed for and understanding their experience of using it. This is not about validating the idea, making people happy, or achieving consensus. It is about critiquing the design from a different perspective and reflecting on how that insight could impact both the design and the situation it was designed for. An important thing to note about prototypes is that they can act as a probe into people’s behaviours and attitudes and reveal how those might need to change for a new idea to take hold. By allowing people to experience a new concept, in the form of a prototype, they are exposed to new possibilities. Using the prototype as a provocation for critique exposes the values of the user in a similar way as the prototype exposes the values that the designer has given priority. It also makes value tensions or conflicts very explicit. By listening and observing, a designer can understand this interaction and the implications of it. Journalism Design is about imagining new futures, so this phase of critique is intended to elicit insights about how journalistic practices might change. Encourage students to give their prototype to potential users and speak to them about the experience of using it. They should consider how the prototype addresses context and values from that person’s perspective and and whether it exposes issues they haven’t thought of. The critiques can be used in the same way as the information they gather in the discover stage. This reflection is important because at this stage students are trying to resolve value conflicts that are ‘real’ and based on someone’e experience and expressed in their own words. They should consider whether the design needs to change and revisit the previous phases as needed. The Journalism Design process encourages students to engage with technology and values in a journalistic context. The phases of discovering, imagining, exploring and critiquing are underpinned by a parallel process of judgement and reflection and the Journalism Design process encourages this reflective practice. At the end of the process it is useful to ask students to articulate this reflection by articulating what they have learned.